Two of Blissfield’s finest have decided that 2012 was the year to hang up their badges and guns, and retire from the Blissfield Police Department. Sgt. 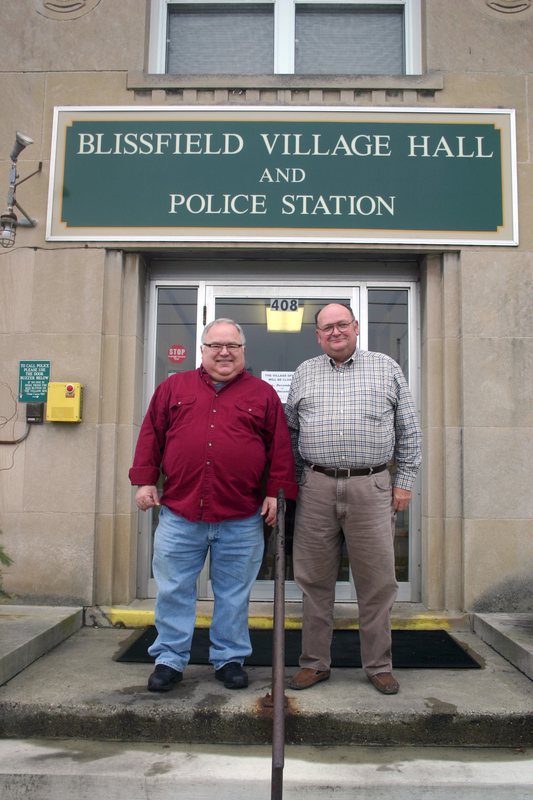 James Novak, who spent nearly 34 years on the job, retired officially on Oct. 31 and Officer Sam Pooley, who worked just over 36 years for the Village of Blissfield, will officially retire Dec. 31. They took a little time last week to reflect on the decades they spent serving the community. And just like their time spent working, the afternoon was punctuated with several members of the community passing their booth in one of the downtown eating establishments to greet them, everyone knowing each other on a first-name basis. Both men were hired in the 1970’s by Chief Roy Heineman. Harold “Butch” Gunter was the department’s sergeant and would become chief in 1981.
, please see the Dec. 26, 2012, edition of The Advance.